One thing is clear to me now: GM gets it. Government Motors now understands the importance of cutting edge technology. They understand rapid development processes. But most importantly, the once largest auto maker understands the future. If only they had “gotten it” back at the turn of the century, they wouldn’t be in the mess they’re in now. 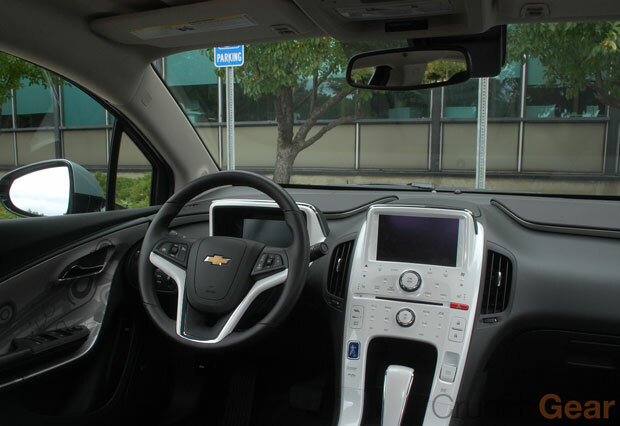 I recently spent some time at a couple GM facilities where in between various PowerPoint presentations mainly about OnStar and the Volt, I was shown several labs and testing areas. All this was neat and about what you would expect: motion simulators, virtual testing, all housed in cold cement buildings. But it was the overall message that instilled hope in me that the automaker born in my hometown of Flint is actually on the right path. After the grand tour with several fellow journalists we were escorted to a pair of early production Chevy Volts. This is where it all came together. Love it or hate it, the Chevy Volt saved GM and you can’t even buy it yet. Let me explain. It’s been over a year and a half since I last hooned around in a Chevy Volt. I didn’t spend all that much time driving the Volt this time around. We were limited it a very tiny area and basically made left hand turns the whole way. I did manage to get it up to 68 mph one time but I know, it simply isn’t enough drive time to evaluate it and this report isn’t about that anyway. The driving characteristics aren’t what most people are going to care about but I’m pleased to report that it’s quite smooth and, well, effortless. The electric motor confidently and silently gets the car up to speed. It’s nothing like the Prius; think golf cart smooth. Simply put, the engine is so good that it’s a non-factor. 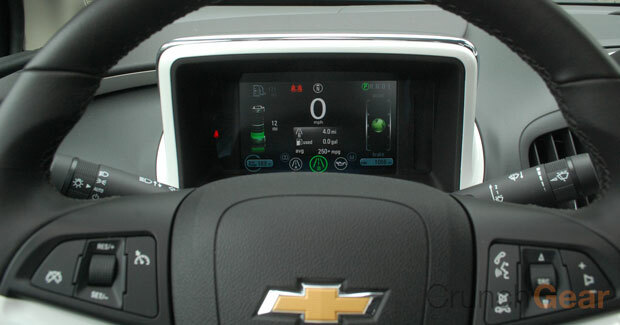 In all honesty, it’s the next-gen human interface componentry that makes the Chevy Volt, if you will, the car of tomorrow. This is where GM proves that for the first time in a couple of generations that they have the ability to build a world class automobile. A GM suit said it best during one of the dry presentations: “The Chevy Volt cannot be a science experiment.” In fact it’s anything but. It features one of the most intuitive and powerful user interfaces I’ve ever seen — both inside a vehicle and in the consumer electronic world. This, after all, is what will make or break the Volt. It’s really the only thing GM hadn’t talked about up to this point. 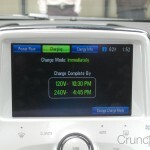 GM approached the Chevy Volt in a radically open manner. After it was unveiled at the 2007 North American International Auto Show, the public was constantly granted looks at the car through various media outlets – – even us. This is unheard of in the generally closed auto industry. Saving face was likely the prime motivation and hopefully it will continue as the new GM regains the public’s attention. But as the Volt’s launch quickly approaches — it’s still unannounced, but I would bet the farm on November 11 — GM has nothing left to hide. Production models are used for media drives and corporate events. It was all there for our consumption. 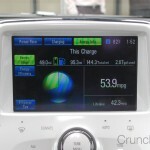 The Chevy Volt’s software and connectivity feels like any next-gen car should. I’m saying next-gen because it looks and works like nothing on the market currently. The closest thing available now is the system used in the Prius, but where everything about the Prius feels like the current generation of vehicles at the end of their evolutionary path, the Volt’s is an entirely new beast. The future of the automobile is upon us. The real value here comes from the dash and center stack. It’s so intuitive that it’s scary. You’re going to be impressed at how simple it engages the operator while keeping it simple. You know, the whole K.I.S.S. concept. Yeah, GM managed to do that, but owners can still get all sorts of bragging and technical info. This is where it gets fun. The Chevy Volt is perhaps the most connected car on the planet. I can’t think of another even under development that offers such a variety of online services including the Nissan Leaf. Part of the fun stuff is done through the generation 9 OnStar hardware. Facebook integration is just the start. Let your mind wander to the apps and functions employed by the boys from Dearborn but instead of using a tethered cell phone, the service is provided through OnStar. The Volt takes it even farther with a dedicated iPhone and Android app where nearly anything can be set inside the car — like scheduled charging times and HVAC controls. Fun fact: Normal combustion engine vehicles like the Cruze are getting a similar app. It’s this attention to detail that validates all these little features. 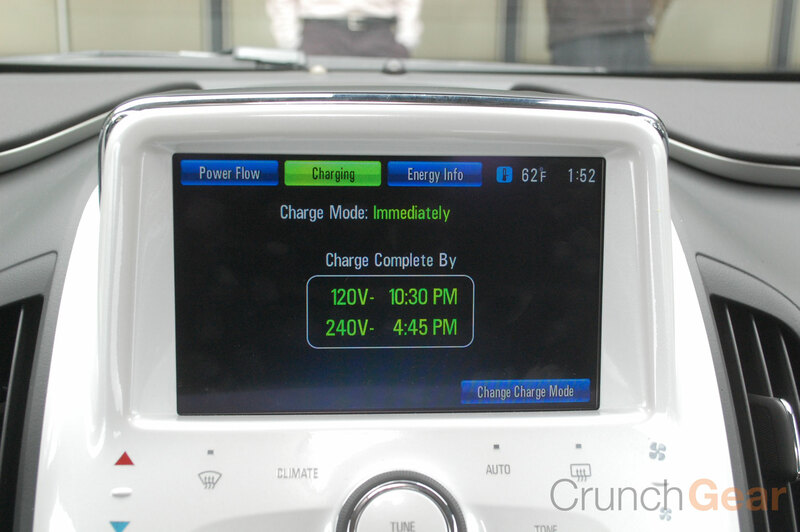 For instance, Andrew Farrah, the Volt’s chief engineer, demonstrated to a few of us how the charging system works. There’s a screen on the Volt’s center stack LCD allowing owners to see what time the Volt will be completely charged and allows for scheduling to reduce strain on the local power grid. This same menu is also available on the smartphone apps. But you would expect that, right? Well, those options would have been good enough for the old GM. The new GM took it a couple steps farther. 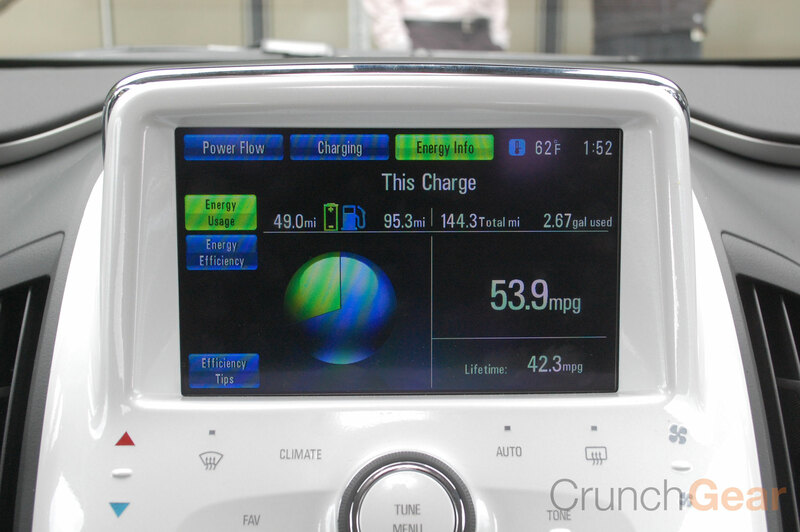 When you power down the Volt a quick facts info screen pops up displaying MPG and drive info; there’s a shortcut to the charging options on that screen. It also pops up under certain conditions when you open the door covering the charging port. And you can manually override the scheduled times by plugging in the charging cable, removing it and then inserting it again. This will be confirmed by a certain series of blinks on a dash-mounted LED. Oh and the charging cable also features bright LEDs surrounding the charging port to not only assist in locating the charging port on the Volt, which apparently serves as a great impromptu flashlight in case you, say, drop your keys. Want to brag about your hypermiling stats? Owners will be able to access and share all sorts of data on a personalized website along with getting monthly vehicle status reports emailed courtesy of OnStar. It’s like Nike+ for cars. I’ll be the first to state that the Volt is expensive, but I honestly believe that GM will have no problem moving them from dealer’s lots. It’s that good once you get inside. But remember, GM is in this for the long haul. I was constantly reminded that other vehicles are under development built on the same platform and principles. The powertrain platform isn’t the only that will be carried over to other vehicles. No doubt the UI will be featured in other Voltech vehicles, too. The Volt isn’t for me. It’s too small and too expensive. It might not be for you. Perhaps the Leaf or the i-MiEV are more your speed. That’s fine. The Volt has already done part of its job. It’s already saved GM. 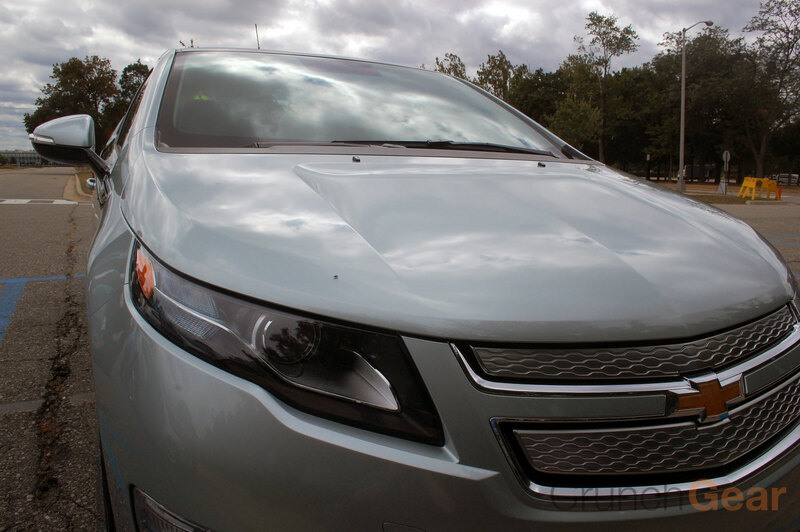 People have called the Volt a halo car from the beginning where in it’s a car that’s designed to draw the public’s attention, but ultimately push them in the direction of a more affordable option like the Cruze. That may happen for some buyers, but the Volt forced GM to change internally and reinvent nearly ever aspect of how it does business. GM now has a working example of what happens when you think outside the box and respond to future market demands preemptively. In this sense, the Volt has already saved General Motors and it isn’t even available yet.